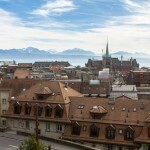 Every three months the rate of interest used to set Swiss rents is reviewed. 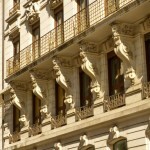 If it goes down some renters have the right to request a decrease in rent. This time it dropped 0.25% to 1.50%. 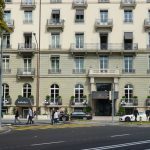 The interest rate used to set the reference rate was the average rate on Swiss mortgages at 31 March 2017 of 1.61% which rounds to 1.50% under the rounding rules, which round to the nearest quarter of a percent. The new rate will come into effect on 2 June 2017 and stay at this level unless the rate used to calculate it moves below 1.38% or above 1.62% over the three months preceding the next calculation, which will be announced on 1 September 2017. The last time it fell was in June 2015 when it went from 2.00% to 1.75%. In 2008, when the index started, the reference rate was 3.5%. In general if your rental contract links your rent to mortgage interest rates then you can demand a decrease in rent when this reference rate declines. 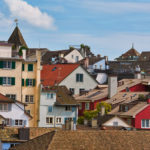 The Swiss Association of Tenants, Romande branch, provides useful information on when and how to go about making a demand. Their website (in French) can be found at www.asloca.ch. When the reference rate declines those with such rental contracts should act smartly to ensure they get the maximum benefit. You can be fairly sure that landlords will be quick to increase your rent when the reference rate climbs. Those who had their rent brought into line with the last drop in June 2015 will be able to demand a 2.91% rent cut this time around. Current and historical reference interest rates are presented on the Office fédéral du logement (OFL) website.